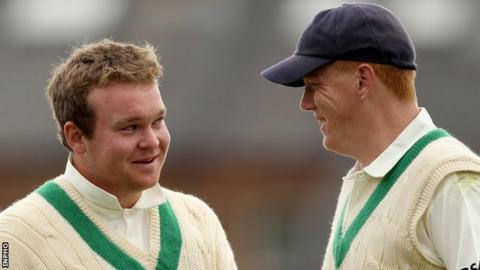 Ireland players Kevin O'Brien and Paul Stirling will play in the BPL Twenty20 competition in Bangladesh next month after both were snapped up in the competition's auction on Thursday. O'Brien cost Rangpur $45,000 (£27,659) while Stirling was picked up by the Sylhet Royals for $30,000 (£18,438). However, O'Brien's brother Niall and another Ireland player Gary Wilson both failed to attract any bids. The tournament will start in Bangladesh on 18 January. Stirling expressed his delight at being handed the chance to play in the competition. "Hopefully, I'll be able to repay their faith in me," said the Middlesex opening batsman, who is also a useful off-spinner. "With the 2014 World Twenty20 being held in Bangladesh, it's a wonderful chance for Kevin and myself to get experience of the conditions." O'Brien said the tournament would give him the chance to put his "name back into shop windows around the world". The Dubliner made worldwide headlines last year when his fastest century in World Cup history helped Ireland shock England in Bangalore. "Hopefully I can add a lot to the squad and play some important innings in the BPL both with bat and ball," added O'Brien.